The iPhone Xr is supposed to be one of the best iPhone options that Apple has provided in the last years. It includes many of the features of the most expensive models and more importantly a lower price. 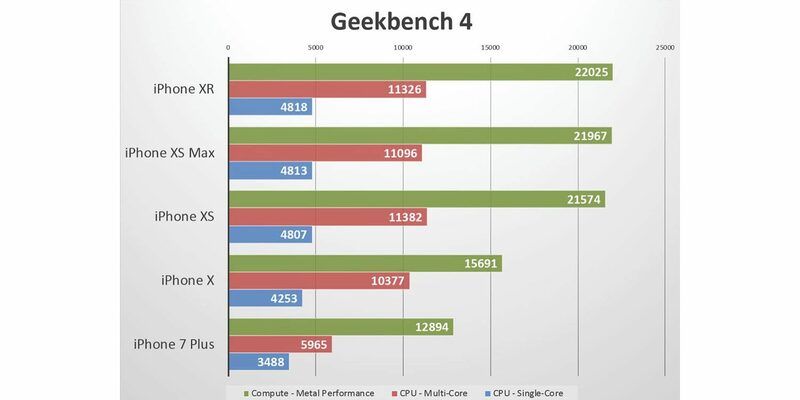 Now a recent benchmark test carried out by Macworld gives us very interesting information. To sum it up, the iPhone Xr offers the same performance upgrades as the Xs in comparison to last year’s iPhone X. Now, the most important thing is that it can even give you a better experience that the more expensive iPhone Xs and Xs Max models. The Xr has better benchmark results since it has a lower resolution display while still having the A12 Bionic Chip and the same amount of RAM as the Xs. Battery life is something else to have in consideration since the iPhone Xr gives you 19 minutes more than the XS Max and from 30 to 45 minutes more than the Xs. So technically this is all going to narrow down to whether or not you want an OLED display or if you have a couple of extra hundred bucks you want to pay for the more expensive models that don’t necessarily perform better than the iPhone that’s supposed to boost Apple’s sales like no other in these recent years.